The primary urban objective was to revitalize an uninteresting section of 3e avenue through which pedestrians typically only passed through. 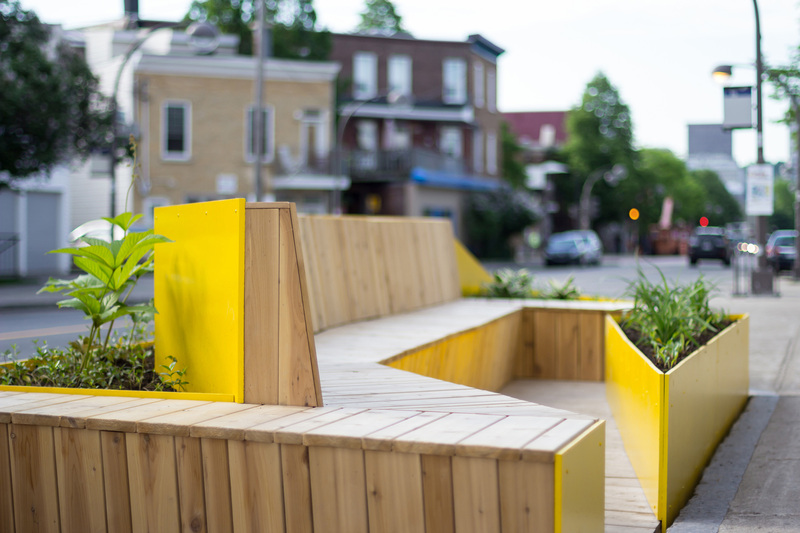 The presence of this object in pedestrians’ and cyclists’ paths introduces an urban “event” — the only one of its kind in Quebec City. 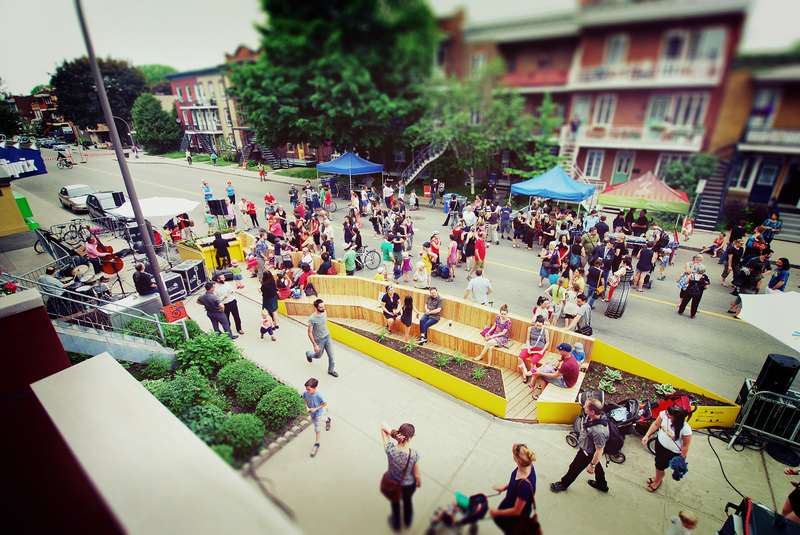 Despite its simplicity and smaller scale, the “pedestrian parking lot” has become a hub of activity in the area, drawing attention to the neighbourhood and its users. 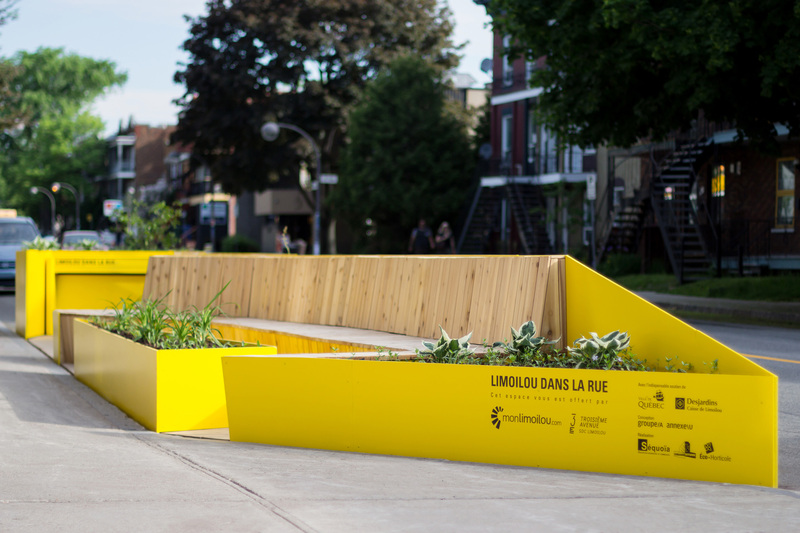 Limoilou’s urban and built layout is well suited to this parklet installation. 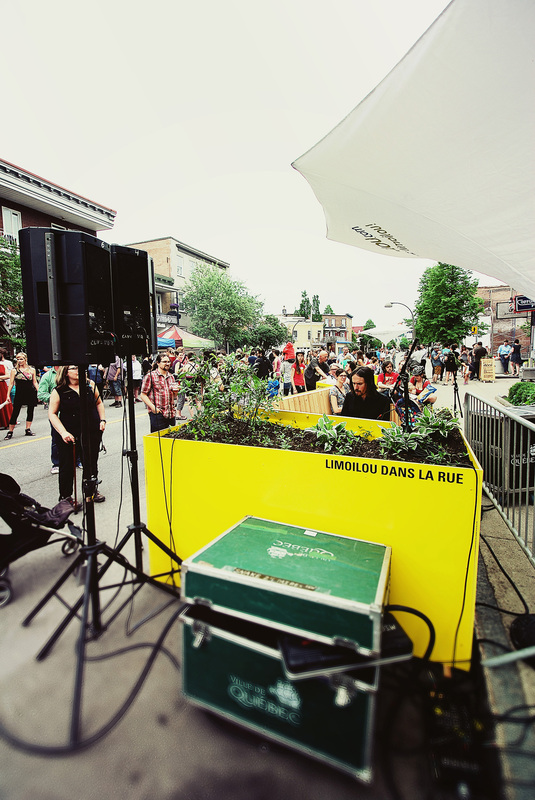 The adjoining three-storey flats and balconies become perfect bleachers and boxes for anyone wanting to enjoy a mini-piano performance from the comfort of their typical Old Limoilou-style balcony. 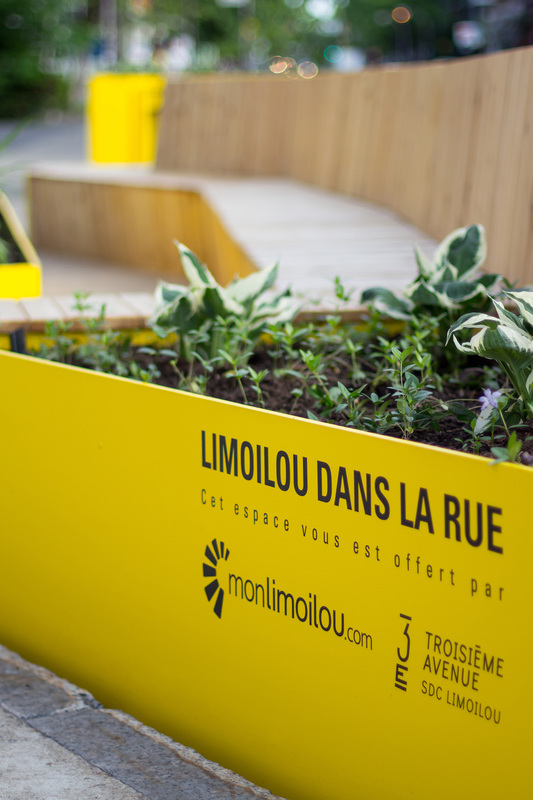 "This project takes a number of under-utilized parking spaces and animates them with a simple and elegant design. The materials are modest and the execution is effective. While this variation of tactical urbanism is a growing trend in many cities the jury felt that this particular design was exemplary."